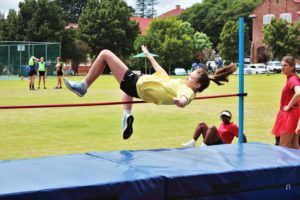 On Friday 25 January, Victoria Girls High School held its annual Interhouse Sports Day, comprising of games and athletics on the day. Every year, the Interhouse Sports Day focuses on showcasing the students’ athletic prowess in various events such as 100m, long distance running, discus, javelin, shotput, long and high jump, and soccer. A member of Dorset House takes part in the high jump event at Victoria Girls’ High school during their annual Interhouse Sports Day on 25 January. Ruthville House won the tournament overall, placing first in athletics and soccer. The students were encouraged to dress up in creative and fun costumes according to their house colours in a successful venture designed to promote house spirit and competitiveness. All of the school’s houses competed in events; Dorset, Graeme, Ruthville, and Thursford House. The athletic events showcased Makhanda’s (Grahamstown’s) young talent. A lot of the events contained a healthy balance of schoolgirls simply competing to increase their house’s points tally via participation, and talented youngsters competing for success in their respective events. Overall, the athletics day and Interhouse competition was a success, with the school’s newsletter describing the spirit on the day as “fantastic”. In the athletics division, fourth, third, and second place were closely contested. Graeme House placed fourth with 241 points, Dorset House placed third with 250 points, and Thursford House placed 2nd with 253 points.  Ruthville House, however, finished on top of the table with significant lead of 310 points overall from the athletics division. Ruthville turned out to be the dominant house on the day, taking victory in the soccer tournament too. Graeme placed second, with Dorset and Thursford placing equally in third. Graeme won the House Spirit award on the day. The Interhouse Sports Day is designed to promote sportsmanship and encourage the girls at Victoria Girls High School to get outdoors and enjoy nature. It was highly successful and enjoyed among the students, and will hopefully continue to succeed for years to come.